Chicago Hogfight, an all-you-can-eat pig roast, is happening in Chicago this Labor Day Sunday, September 1. Chefs from Frontier, Chef AJ’s Carry Out and Catering, Fireplace Inn and more will compete for $1,000 in prize money and the title of “Hog-Father.” Meanwhile, attendees will eat as much BBQ as they want all day. 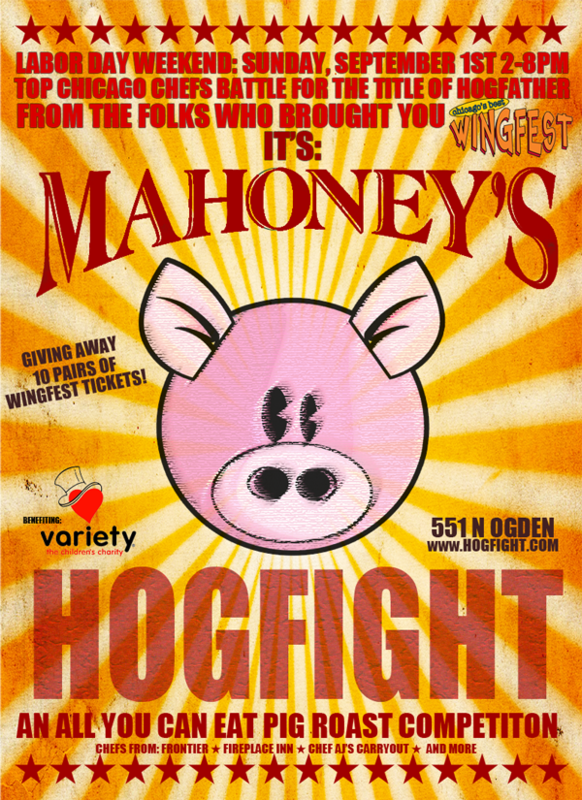 The competition pigs will be made available at 6 p.m.
Tickets are $25 and 20% of proceeds go towards Variety – The Children’s Charity. Mahoney’s Pub & Grille is located at 551 North Ogden Avenue.